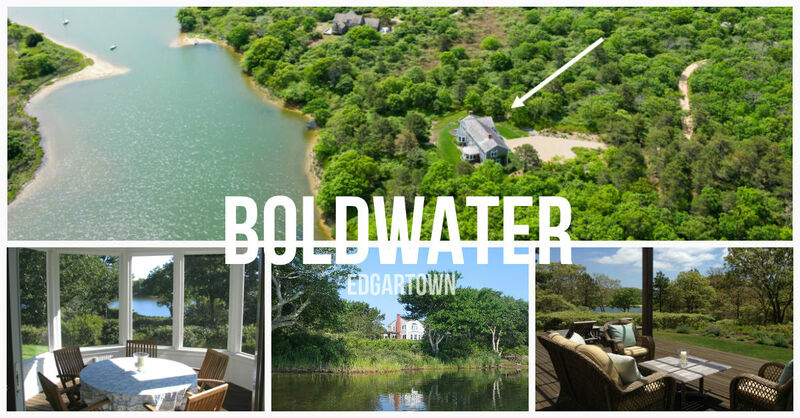 Elegant style and gracious comfort defines this pristine waterfront home in Boldwater. Thoughtfully designed to take advantage of the natural setting, all rooms offer views of the pond with fantastic flow, both inside and out for entertaining family and friends. Enjoy the beauty of the scenery and marvelous outdoor living with extensive decking, slate patio and three season porch. Generous in size and quantity, five bedrooms in all afford comfortable accommodations for your Vineyard visitors. Take a quick stroll down the private path to the water's edge for a swim in the pond or kayak out to the sandy south shore beach. Ownership in the exclusive Boldwater community includes access to 3000' of the Atlantic barrier beach and use of the association tennis courts and boat landing. The main entry opens to the living room with fireplace and dining area. There are lots of windows throughout to admire the view and doors to the pergola covered decking. 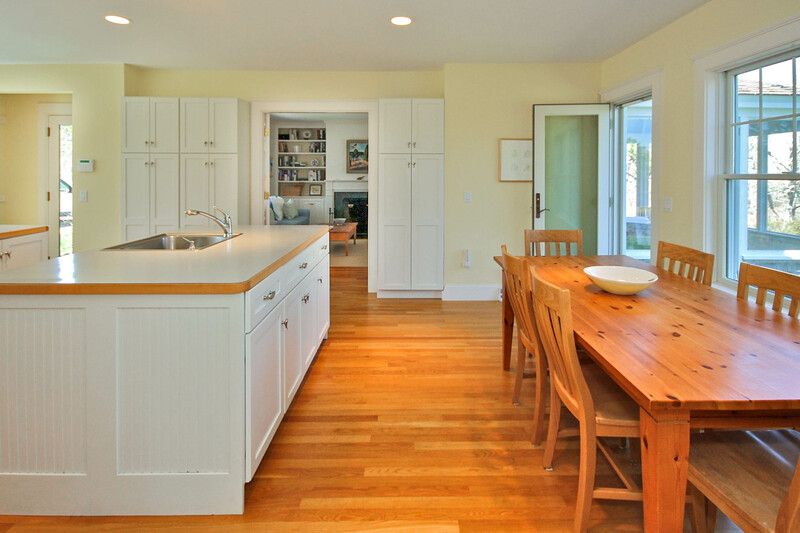 The space flows to the well appointed kitchen with center island and room for the farm table. Well designed with doors to the outside on the pond-side and driveway for everyday convenience. Beyond is the den or library which features the second wood burning fireplace with custom built-ins and the fabulous waterside three season porch. 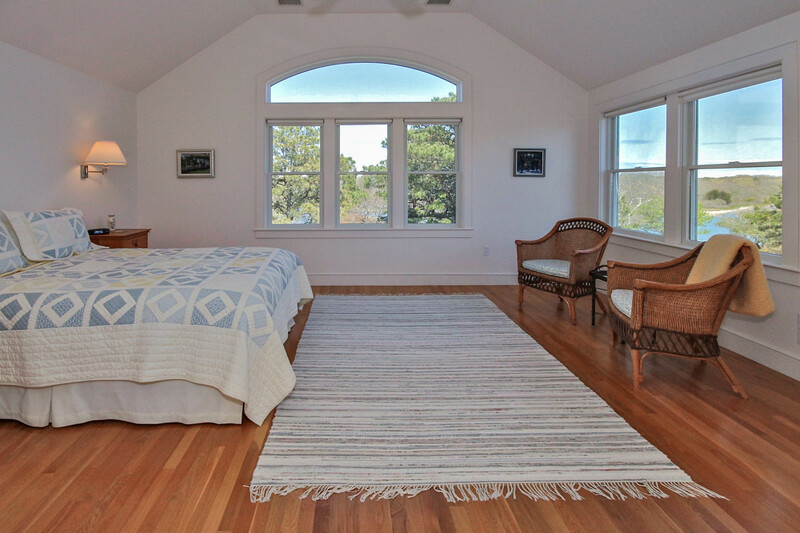 The second floor master suite offers dynamic views to the south and vaulted ceilings. 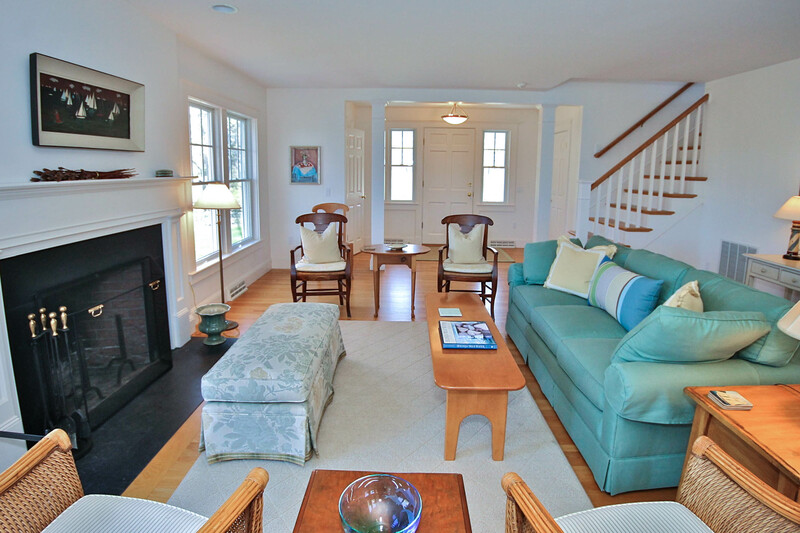 All four bedrooms upstairs enjoy water views.